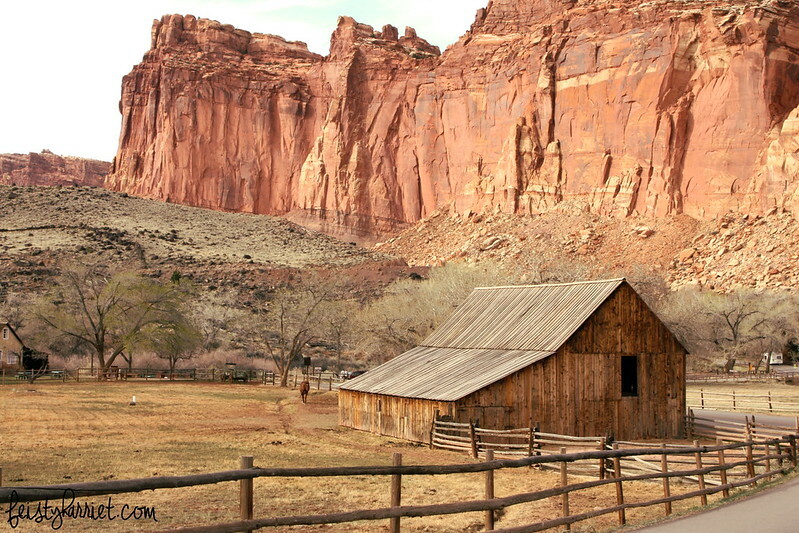 This entry was posted in Far Off Places, National Park, Photography, Red Rock Country and tagged Capitol Reef National Park, Fruit Orchards, National Park, Photography, Southern Utah, Travel, Utah by Feisty Harriet. Bookmark the permalink. This place is high up on our list of places to visit. We’ve already got this summer’s road trip planned out, and we’re thinking of doing a mostly-Utah road trip next summer, including Bryce Canyon and Capitol Reef, since neither of us have been to either park. 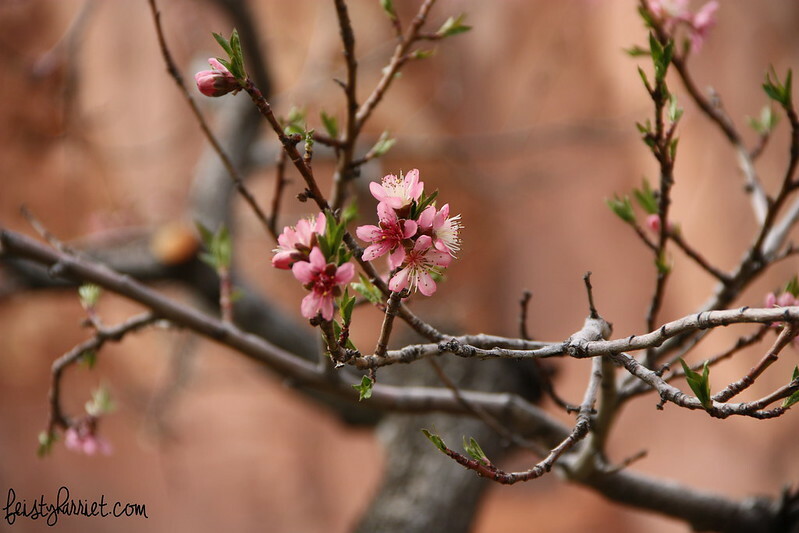 Your post makes me think we should try Capitol Reef during spring break instead of summer just so we can see some blossoms. 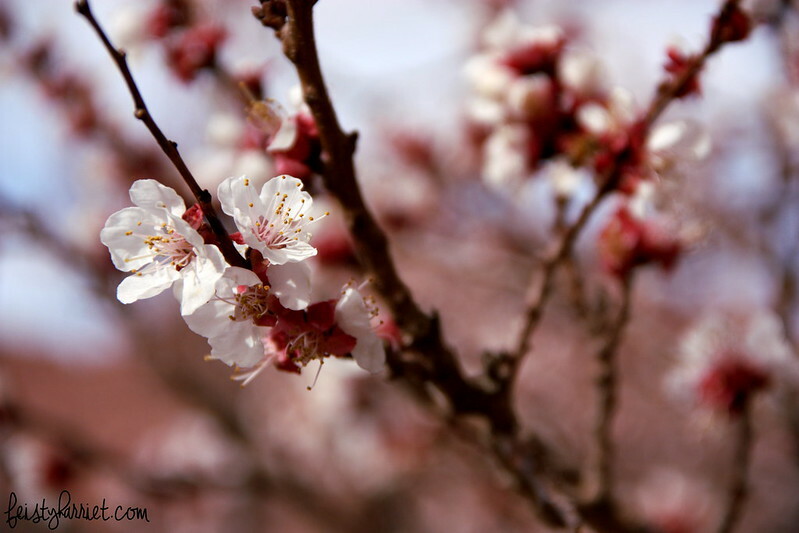 I’m sure it would be gorgeous in the summer, and when the fruit is ripe they sell it to visitors. I can hardly imagine how dreamy it would be to have all that shade while camping! I loved Bryce as well, such a stunning place! I wondered about that too, actually. 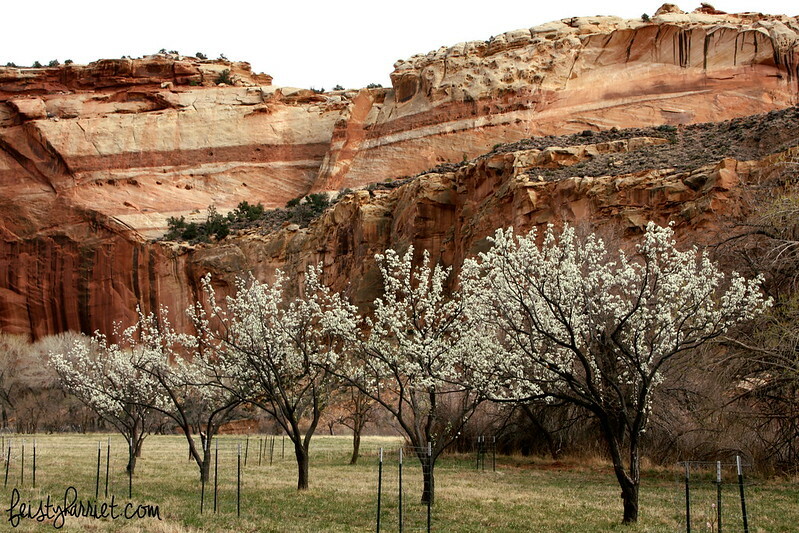 And as I was looking for photos a few weeks ago online there are very few of them at all (that were tagged in a way they would pop up in my search), there also aren’t a ton of pics on instagram of the orchards at Capitol Reef. 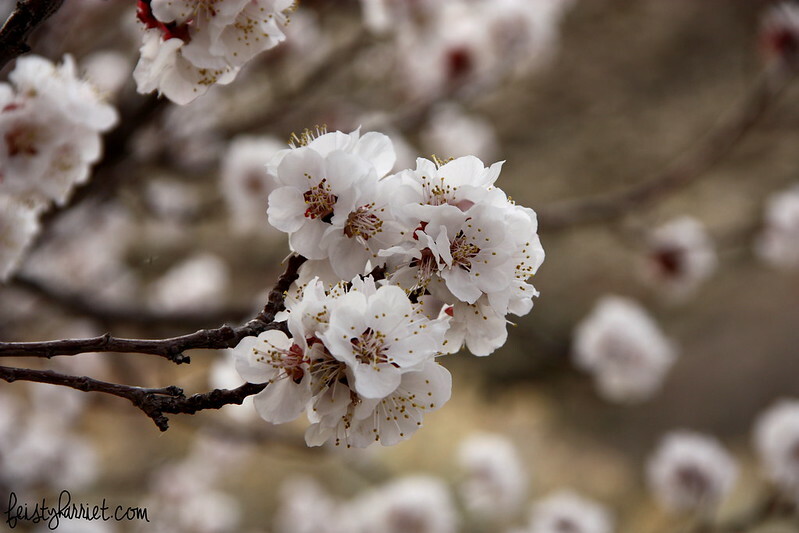 Granted, they are only in bloom for a few days a year and the rest of the year it is crazy red rock hiking that the park is known for, but still. It was surprising. Now I’m sad we went to Escalante National Monument this weekend instead of Capitol Reef. Although the slot canyons were impossibly beautiful, too, so I’ll just add the orchards to my bucket list and call it good. Add them!! So, so gorgeous! 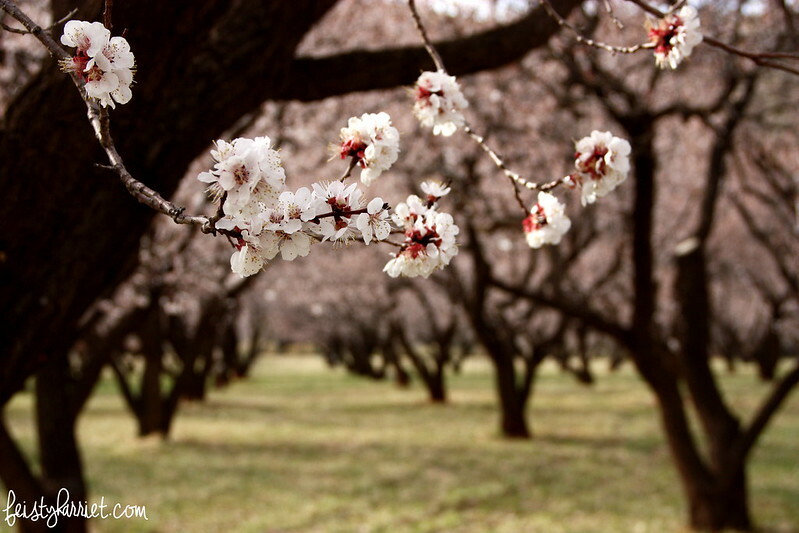 I would love to just spend a week camping in that apricot orchard while the flowers are in full swing! It’s so pretty. We have been there in 2009 and I really enjoyed it a lot! I didn’t really know what to expect and was blown away by how gorgeous it is! I can’t wait to go back and explore some more!